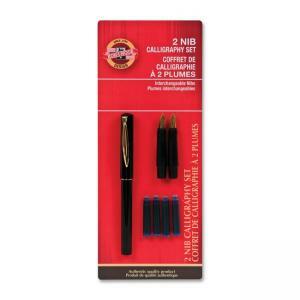 Calligraphy set contains the necessary tools for launching a new fine writing project. Set includes a complete pen with a medium brass plated nib, a medium italic nib, a broad italic nib and four ink cartridges. The stylish black pen and nibs feature gold color accents.